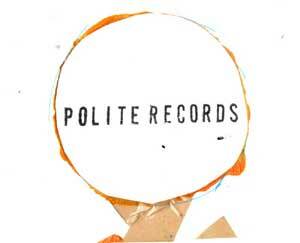 So, welcome to the new internet home of Polite Records. It turned out that paying for webspace just wasn't worth it for the amount of traffic it was actually getting. In fact everything has had a bit of a scale back thanks to me getting a proper job and being generally crap at implementing the ideas I had. I'll post more on this soon, but Henry and Olly have pretty much taken over the label and are doing stuff their way now: hella small runs of things, all manufactured in house (mostly by Henry) and it's all amazing. So raise your glass, if you will, to new beginnings!